The beaming heat of the sun is here to stay all spring long which means that it is the opportune time to venture outdoors in LA’s natural playground. Southern California is lucky to be full of beautiful destinations for camping and hiking with also some exciting wilderness locales to explore. Every avid camper and explorer knows what supplies to gather for their next journey, but one thing that every individual must keep in handy is the survival knife. This type of knife is useful and efficient for countless outdoor tasks and every survival knife has greatly evolved throughout the years. Here’s a quick look on the knife history of survival knives. The survival knife history began where its always been used: the wilderness. These knives are strictly for this environment and for survival use like hunting, trapping, skinning animals, wood cutting, walking through the forest, and other misc. activities. Some knives have a fixed edge blade, some knives are built to be multi-functional like the Swiss Army Knife. Historically, the survival knife has existed in some form for more than a thousand years; cavemen were even discovered having a knife in tow. The infamous Jim Bowie revolutionized the use of this knife. The pioneer designed his Bowie Knife in 1930, a 9.5 inch blade that curved at the end and was mainly used for skinning dead animals. In the end of the 19th century, the military and hunters simply used butcher knives. At the dawn of the 20th century, Webster L. Marble introduced a more modern knife that would consist of heavier blades, cross-guards, and pommels. 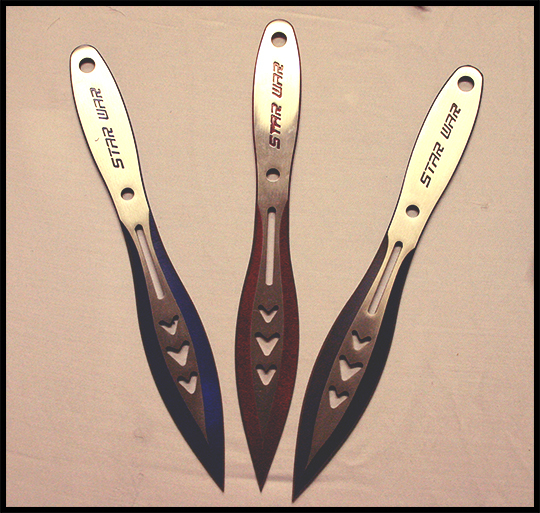 More similar knives were introduced, thus transcending the concept of the survival knife. In WWII, these knives were issued to may US troops, mainly pilots and aircraft personnel due to their likelihood of being trapped in the wilderness behind enemy lines. Knives were also issued to US soldiers in the Vietnam War since they commonly would fight in the jungle. 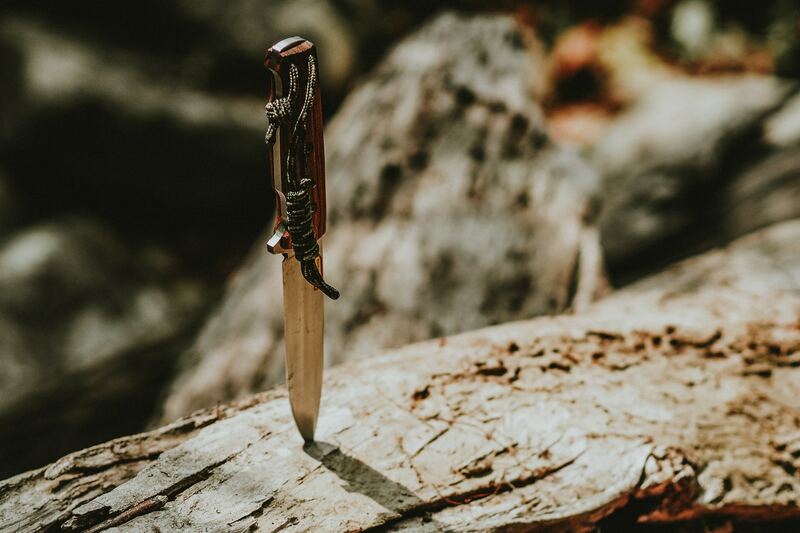 Survival knives began to take on more elements in the late 1880s when the Swiss Army introduced a folding pocket knife for their soldiers that was manufactured by the Germans. In addition to its blade, this knife could be used for opening canned food and disassembling a Swiss service rifle. It was in 1891 when the Swiss Army Knife was officially produced. Karl Elsener, owner of a surgical equipment company, started to manufacture the knives for Switzerland and succeeded in attaching more features to the knife as well as establishing the famous cross and shield symbol. The name “Swiss Army Knife” was coined by American soldiers after WWII, due to the difficulty they had in pronouncing the original German name, “Offiziersmesser”. For the typical outdoors-man; setting traps, cutting branches, skinning animals would be the more common activities with big knives with a more serrated blade. The ultimate survivalist could use multi-purpose blades like the Swiss Army Knife for tasks like slicing rope, starting a fire, cut back brushes. 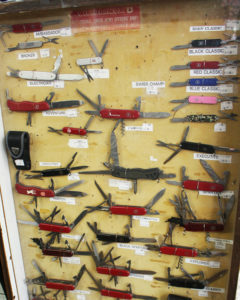 At the Surplus Store, you’ll be able to find and purchase a huge variety of survival knives and blades for any level of obstacles that you may endure during your camp outs. We carry blades in many shapes and sizes, from the best high-quality brands. Visit us on 10341 Venice Blvd. and put your newfound knowledge of survival knife history into effect.